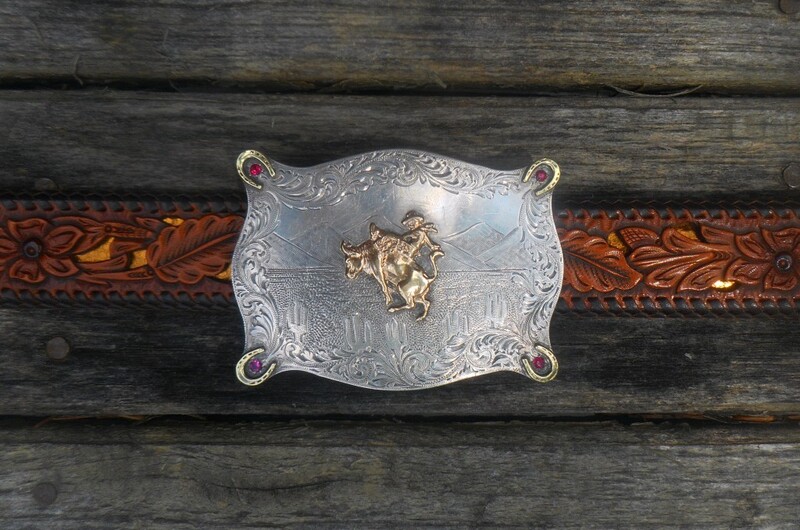 Wonderful buckle by Western Silversmiths of California, circa 1940. Hard-to-find steer rider is in gold in the center, and gold horseshoes are in each of the scalloped corners. A ruby is in each horseshoe. The edge is scroll engraved, framing an engraved scene of mountains and Saguaro cacti. Outstanding workmanship. Measures 2.25" x 3.25"; fits up to a 1 5/8" belt. 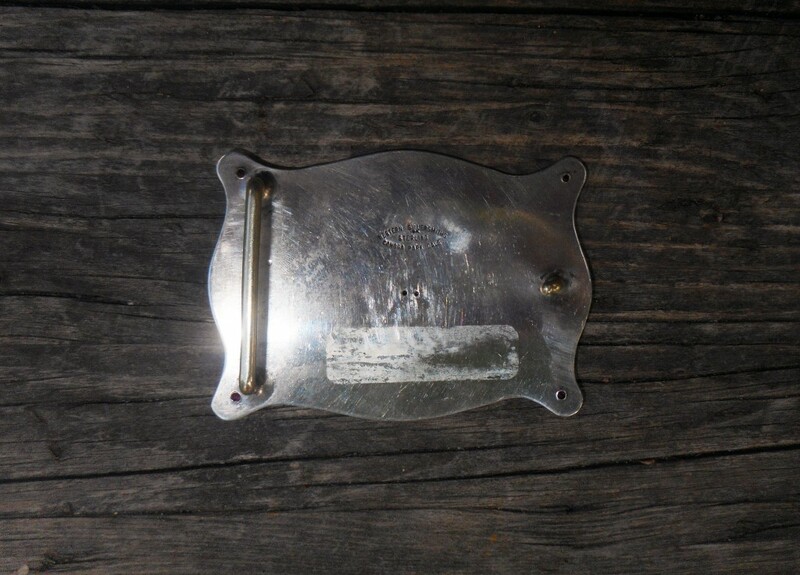 Please note that Cayuse recommends a custom belt for any vintage buckle due to inconsistencies in their fabrication. We can assist with the process if desired. 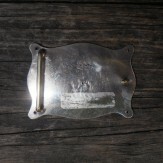 Size: Measures 2.25" x 3.25"; fits up to a 1 5/8" belt. Sorry, this piece has been sold, or is in another customers basket.